The FARMER/LARDY SYMPOSIUM-A YBSmedia Video Captures the Event! A review of the unique four day retriever training event held in April 2017 in Tennessee. 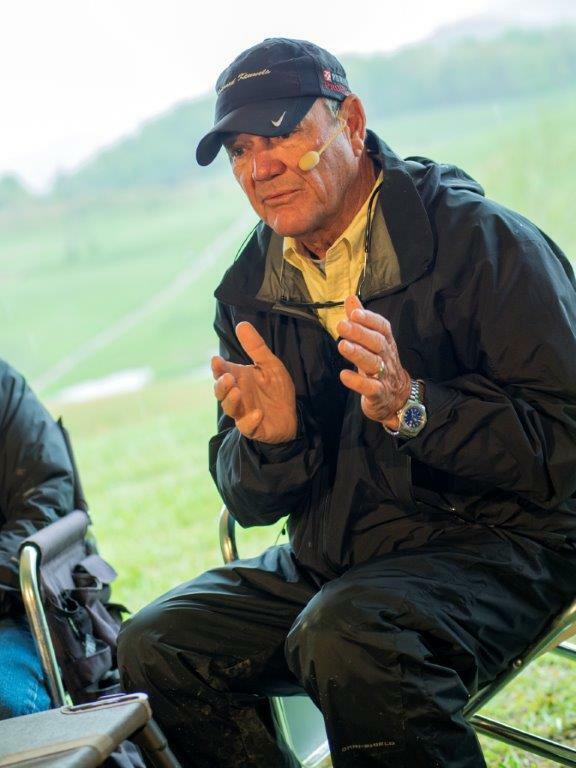 Danny Farmer and Mike Lardy, widely recognized as the two most successful professional retriever trainers ever go head to head with their techniques, approaches and philosophy. Conceived by Pat Burns, and filmed by the YBSmedia crew, this landmark workshop was attended by over 150 people. This 11 hour DVD captures the event for your study as if you had attended and it provides a refresher for attendees. 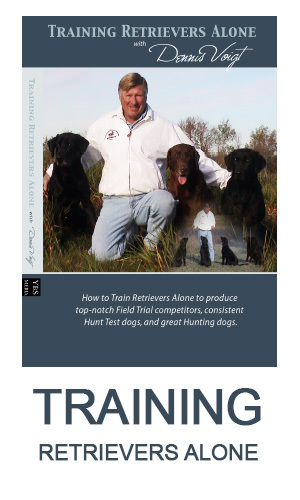 Retriever Training Workshops have become a valuable educational tool in the last decade or so for both hunt test and field trial trainers and handlers. The typical format is an experienced instructor or two demonstrating their training and providing instruction to a group of attendees and their dogs on drills, field set-ups and problem-solving methods. 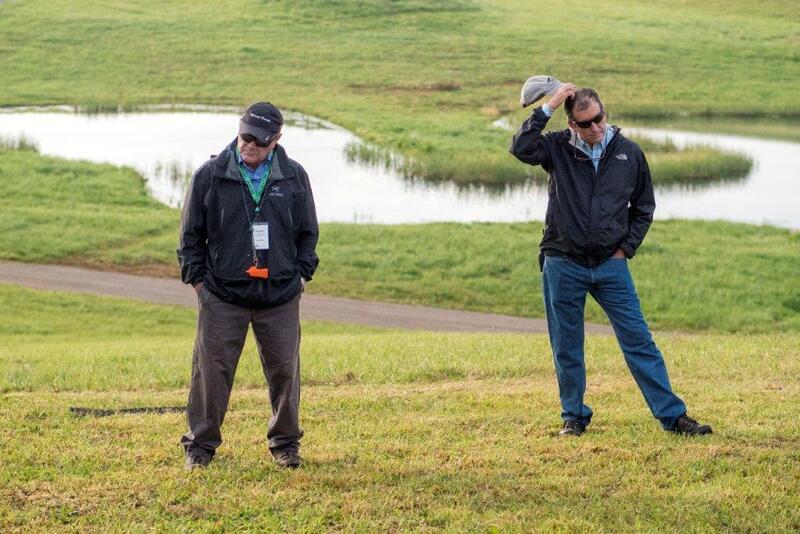 This Workshop became more of a Symposium as two extremely respected and accomplished professional Retriever trainers worked together for the first time ever to compare and contrast their training. 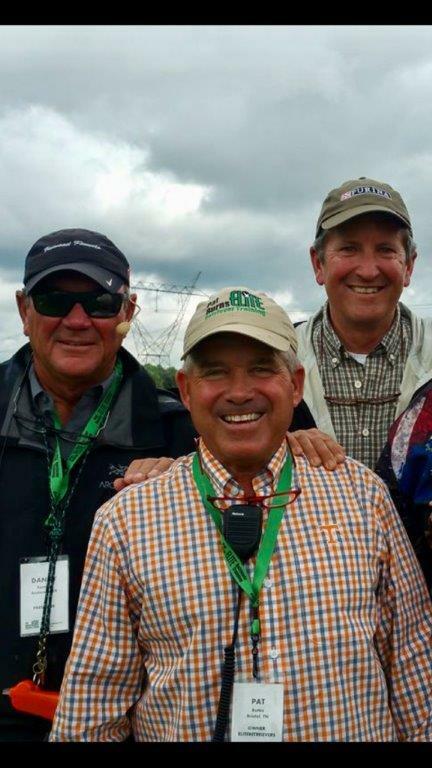 Both trainers have their records with Mike for National wins and Danny for over-all Open wins. Both have a reputation for as the top trainers and handlers: Danny with high obedience standards and Mike with high fairness standards. But, that is such a superficial view as this Symposium illustrated. Not surprisingly the similarities were greater than the differences because dogs are dogs and both men are superb dog men. Nonetheless, a major interest is what is the same and what is different and why? THE TWO TOP RETRIEVER TRAINERS OUTSTANDING IN THEIR FIELD! Pat also played a role through-out in organizing the daily events as well as orchestrating the very valuable final day Q and A session. He is personal friends with both Danny and Mike as well as with many of the handlers, so his relaxed and personable style help provide a good "we're all in this together" sort of atmosphere. The grounds for this event were outstanding and they were very challenging-deceptively so! 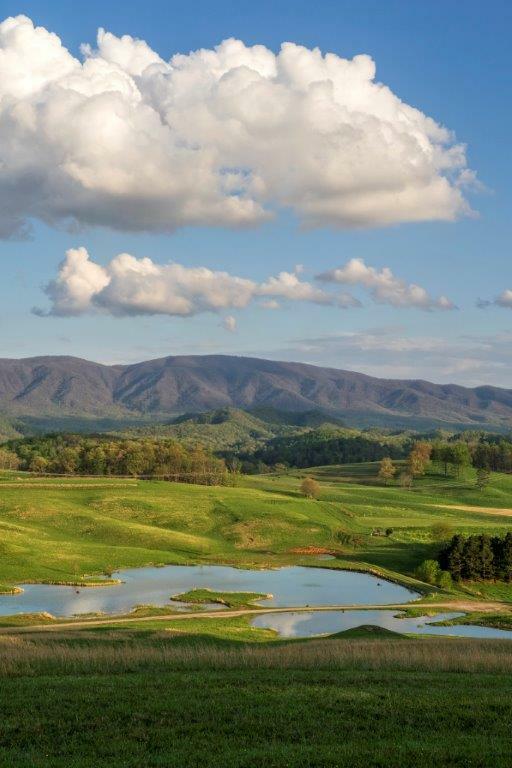 Located in the beautiful foot-hills of the east Tennessee mountains, the property owned by Chad and Paige Baker has been developed expressly for retriever training. There is much terrain, variable cover and a variety of water which can be often viewed from afar. Typically, it is difficult to evaluate how tough a retrieve is from a video and if you watch the dogs you will see that so clearly. Beyond the big hills, there is a lot of terrain not always evident. Plus, you will the see the effect of long distance entries and a variety of punches beyond water and up hills. 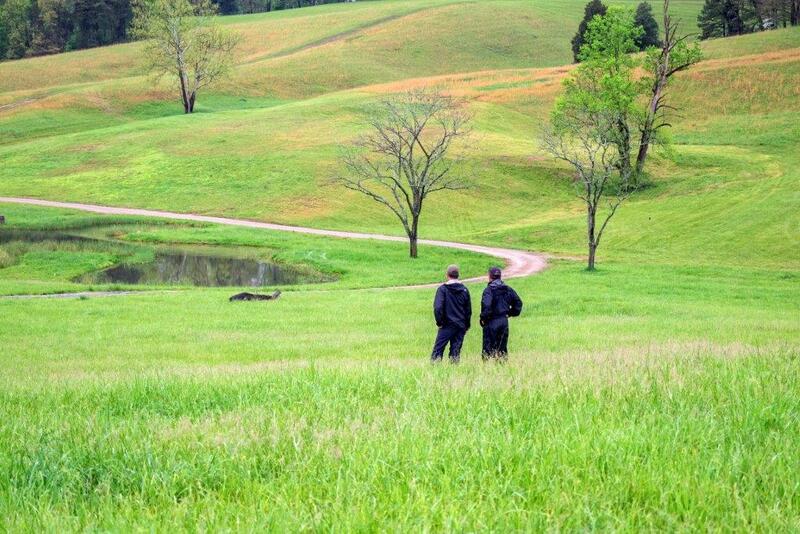 These challenges provided many opportunities for variable dog work and thus for discussion between Mike and Danny. Typically, the date of this event would be ideal for dog work. Alas, well hidden in the DVD production is the raw weather, wind and rain! Look carefully and you will see "moisture" often and indeed the last day appeared wicked! Kudos to the film crew for over-coming these elements and capturing sound without a lot of wind noise. A group of handlers were selected from across the country. While there was some big-league names included, they didn't necessarily at all bring big name dogs. Instead, we saw dogs with great talent but often issues. This really enhanced the education. Plus, some handlers admitted to weaknesses and a desire to learn how to elevate to higher levels. These were mixed with various extremely accomplished handlers like Judy Aycock and National winners Andy Kahn and Laura Parrott for example. Plus, there were successful Pros including Marcy Wright and Lynn Troy and a group of diverse Amateurs mixed in. Dogs varied from "over the top to sensitive!" It was a great assemblage from that point of view! I am not going to wade through each and every set-up and try to analyse the lessons. That is why you would buy this DVD to study. And, it DOES require study to gain the message from each set-up and the subsequent lessons. Basically, over the first 3 days, dogs were exposed to land and water multiple marks, land and water blinds. Set-ups include combination test as well as many concepts too numerous to mention. The biggest discussions occurred around water cheats, handling or recalling on long distance entries, line manners, when to handle, when to correct, and how much pressure to use. The majority of set-ups were "test-like" in nature as opposed to "teaching-type" lessons designed to build a concept or repeat an idea. Of course, with these all-age dogs, the teaching was in the handler communication through team-work, intervention, correction, pressure, help or praise. All dogs were challenged to the limit at one point or not. Dogs ran the "full monty" on some occasions but subsequently tests may have been simplified depending on results. This was one of the major lessons-how to customize the set-up procedure for each dog and then how to intervene for each dog. Generally, the handlers were asked first but Mike and Danny offered advice (not always the same) both before, during and after the run. Not only was it as if you were spending a day training with the Handjem or Vinwood truck, bu,t you had the double whammy of the Mike/Danny interchanges. There were a few special sessions on techniques such as when Danny illustrated heeling and sit lessons. After some discussion on check down short retired birds, Mike demonstrated my "Ontario 10 Step" drill (he named it that not me!). This generated considerable interest at the Workshop as well as afterward by attendees and DVD viewers. In talking to some, I learned that the procedure wasn't entirely clear for some so it obviously requires further study. I do wish to thank Mike for other references to Retrievers ONLINE and it's potential value for Amateurs to study. The first notable observation about these two is that each had respect and admiration for the other. Sure, they were feeling each other out at the start in terms of input and agreement but as the event went on, they become not only more open and frank but they began to joke and jab about each others idiosyncrasies. There were some humorous moments around who knew how to make a dog sit or heel and how much pressure to use and when to analyse or not. Danny was more prone to respond with "It Depends" in which he considered the dogs history and nature and experience. While Mike also considered such, he definitely tended to have more guidelines in both his set-ups and how he handled the dogs. He was more analytical about his training in comparison to Danny who joked about that. Danny used his extensive experience and dog savvy more on the spur of the moment. Surprisingly, they agreed far more often than not. They also both often agreed that it was not at all a clear decision. Often, you make a decision, observe, remember and adjust next time. The important lesson here was that both were secure in their experiences and successes and beliefs. They were quick to understand that something might be better next time. They were sharp to avoid repeating mistakes. Nonetheless, they were both willing to defend their overall training and approach. At the same time, both seemed to have head-scratching moments as they considered the wisdom of each others viewpoints. HMMM! LET ME THINK ABOUT THAT? When you study this event in depth (and that could take 2-3 viewings!! ), you will see philosophies emerge that lead to some different approaches and techniques for handling the dogs. You will likely find some better suited to you and your style or your dog. 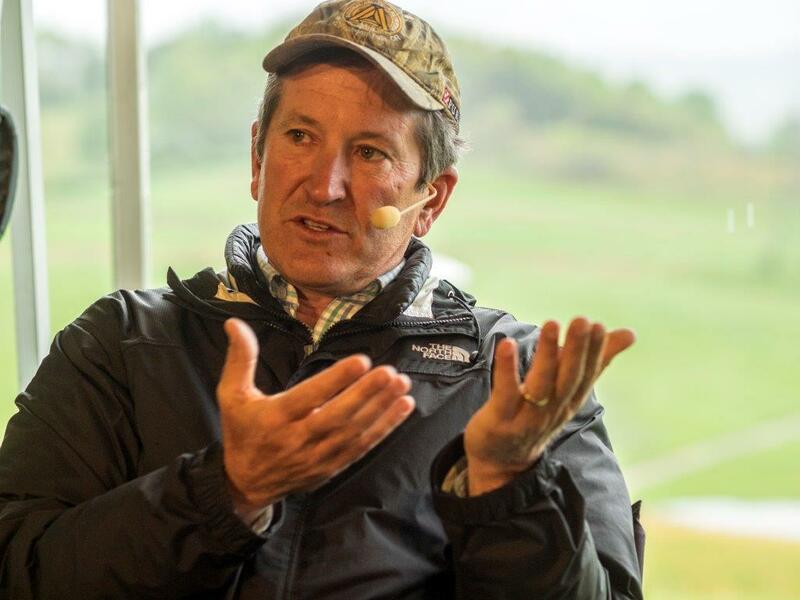 With lousy weather and an exhausted audience saturated with new ideas, Day 4 was primarily a Question and Answer session both from Pat but also the audience. At first I thought, this could be a drag compared to watching the field work! But, it turned out this was one of my favorite parts and others have expressed the same. Perhaps, it was because you are not distracted by watching a dog and thinking about the particular situation. I found the session covered some excellent topics and clarified some viewpoints. This was educational even when it just solidified and understanding. I strongly recommend that you don't gloss over it. As you likely know both Danny and Mike are exclusively Field Trial trainers and handlers. Nonetheless, their material and knowledge has great benefit to Hunt Test trainers and handlers. This Symposium was clearly targeted at Field Trials both in terms of set-ups, discussion and handlers. However, there is no doubt in my mind that the Hunt test student can benefit greatly by studying it. There is simply too much generic discussion and dog work examples of basic dog training to think otherwise. 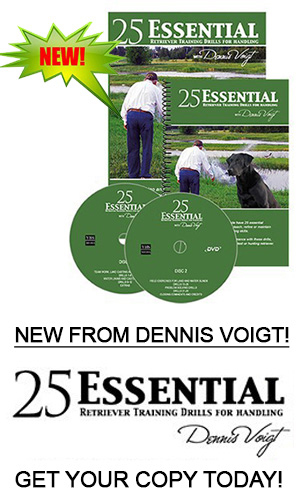 I have talked to several hunt test trainers who have viewed the DVD and they thoroughly enjoyed it. Perhaps there will be some unclear or questionable scenes and even terminology but that is likely true for some Field Trialers also! I think there could be a danger for all viewers of getting the wrong impression about some ideas. This is the same as if you go and train with a certain person one day and base your understanding of that person and their training on that one day. Even a week or a month can be misleading. The same can be aid here for how Danny and Mike train over time. Somebody said, "gee, Mike sure recalls a lot from a distance!". The truth is that depends on the situation, the dog, the set-up, the history and more. Another week, there may be zero recalls. What it does show is that good trainers do what is best required in the instance. Overall, you will however, get a very good feeling for how these two approach various issues to teach and improve dog performance. Just don't try and quantify and make rules from what you see. Remember the "Never say Always and Never say Never". Or as Mike said, "Almost Never!" I know from personal experience how difficult it is to film, record sound, and edit field work by retrievers. On top of that, this production required close attention to capturing both Mike and Danny in their interactions with handlers and each other. I personally found it quite easy to follow the dogs for the most part as they worked. The diagram and scene shots helped a lot. I saw enough of the handlers to understand their handling. 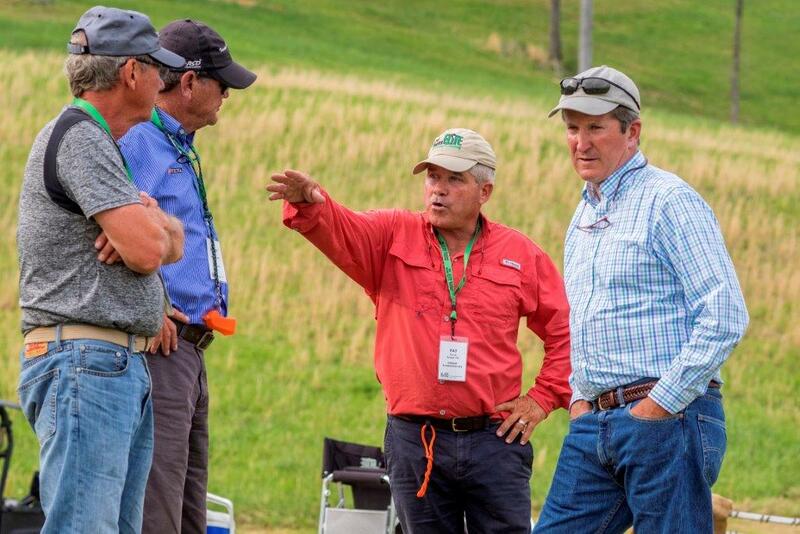 YBSmedia has learned how to maintain the right perspective on the working dog as they long ago learned that those cut-away shots from different angles only confuse. The main videographer, who I have worked with, did an excellent job in this case under challenging conditions. Jerry Younglove of YBS has extensive experience with retriever training products and somehow managed 4 days into 4 disks and 11 hours. Comments have been made that "split-screens" should have been used. I have seen attempts at that and frankly they have mostly failed even when done by top TV Sport channels. It sounds like a good idea but the double screen is distracting and busy and it is very difficult to focus on both parts at once. The beauty of video is you can stop and replay. Every time you watch a DVD you gain more. Overall, I have no complaints about the production and filming conditions were over come about 95% of the time. I will admit that it is a challenge to get through all the scenes and 7 hours while maintaining concentration. This is a big project and it will take you multiple sittings. It's hard to know what to gloss over because you don't know what is coming. A second viewing will be important for most serious students although there is entertainment/curiosity value for the others. In hindsight, I wish I had kept pen and paper handy to note sections for replay or later. Conclusion: This has to list as an essential for all the serious retriever trainers. It is unique. I think it is something to re-visit for years for ideas, contemplation and entertainment. It's Christmas shopping time as I write this. So, get this on your Wish List! You can order form ww.ybsmedia.com.